I'm a big enough fan of Traveller's Tales' LEGO games that I was planning on picking up Lego Marvel Super Heroes already, but today they added an interesting new feature to the game that sounds like it's going to be a blast to goof around with. 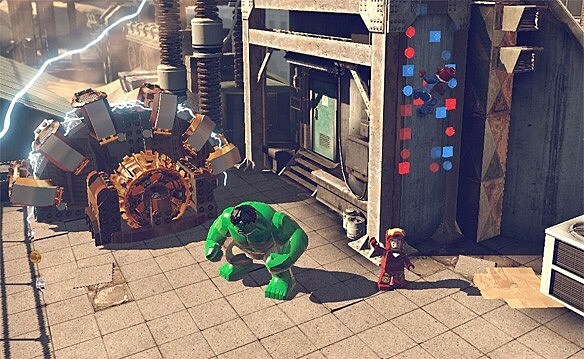 In addition to playing as characters like the Avengers and the X-Men, players will be able to create their own superheroes, mixing up the abilities from the different characters already in the game. Finally: A game where Wolverine can have rocket boots. It's amazing that it's taken this long for that to happen.The ability to build your own custom figure has been a part of the Lego games for a while, but adding superpowers into the mix is a pretty cool new twist. Players will be able to combine powers of heroes and villains, but they won't have a completely free choice of what to do. They'll be limited by size categories: Characters like the Hulk are classified as "Big Figs," and have a different set of abilities to choose from. Even with that limitation, though, there'll still be plenty to choose from. And by that, I mean giving everyone Jet Boots. Because why would they ever not want jet boots?